The National Academy of Engineering of Korea (NAEK) announced its 42 new senior members and 61 new members who are actively engaging in academia and industry. 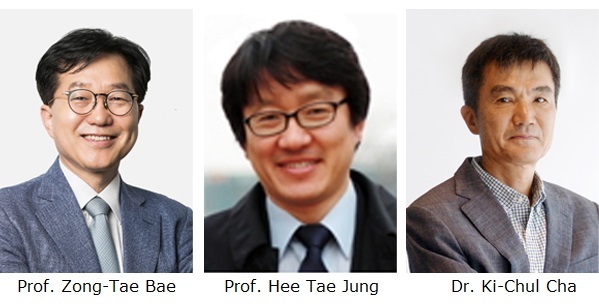 Professor Zong-Tae Bae from the College of Business and Ki-Chul Cha, the head of the KAIST Alumni Association and the CEO of Inbody were appointed as senior members of NAEK while Professor Hee Tae Jung from the Department of Chemical and Biomolecular Engineering was elected as a member of NAEK. NAEK is a corporate body specializing in engineering. It is involved with promoting industrial competence and fostering human resources. Every year, it holds membership voting to select senior members among the members who demonstrated excellent research performance in universities, institutes, and companies. To be elected to NAEK is quite prestigious, and considered as the highest professional honor in the engineering field. NAEK confers membership to those of who have more than 15 years of career experience. After a thorough evaluation, a member can be elevated to a senior member. As of January 2019, NAEK has 285 senior members, 343 members, 432 emeritus members, and 71 foreign members.